Scott’s Afro-Borinquen roots not only inform the narrative of her new album; they shape its sound. Tribal drums, rhythmic clapping, and congas intertwine with booming bass lines, drum machines, and trap beats. These musical elements—along with her versatile voice, which switches between rapid-fire rapping and singing—come together to create something that feels current and honest. Scott’s lyricism has always been good enough for the boom-bap set, but her music is meant for the club. Or if you’re over 30, boozy brunch. Scott educates and entertains. She’s woke without being preachy, clubby without being mindless. On “Pxssy Powah!” Scott invokes iconic Afro-Latina singer Celia Cruz with a chant of “la negra tiene tumbao” (the black woman’s got swag). The song is bottle-service ready, while at the same time eliciting the kind of introspection usually reserved for a poetry reading. She knows how to rap well. She knows how to sing. And she knows how to make bodies move. In 2017, those qualities are no longer mutually exclusive. Getting comfortable, though, was a process. Scott’s early fear of being “hypersexualized” stemmed from her prior experiences. Her childhood and adolescence consisted of a patchwork of places in the U.S., where she encountered sexual abuse and shame for being a black, Latin, queer woman. (Once, an ex-boyfriend threatened to out her before she publicly revealed her sexuality.) Scott now fully owns and espouses her sexuality, her blackness, and her Latinidad. Like with any major evolution for an artist, Scott risks alienating fans—some of which have called her current iteration a publicity stunt—and coming off as inauthentic. In a cultural landscape that often commodifies wokeness, an album like Creature could easily overstep, or worse, come off as contrived (a la Pepsi/Kendall). But instead, she expertly walks the line between entertainer and activist. Scott effortlessly addresses issues of race, class, colorism, sexuality, and feminism through her singular Afro-Borinquen identity, without relying on tropes or tired language. “La Diaspora,” featuring Zap Mama, perhaps best epitomizes the sound and themes of who Scott has become: impeccable delivery in Spanglish over a trap beat, infectious flute samples, and Afro-Borinquen percussion and chants. “Write” finds Scott on an ethereal reprieve into future R&B: displaying her powerful singing voice before going back into those bars, which have sometimes been used to draw comparisons between Scott and Nicki Minaj. But to rely on such comparison would be reductive: Scott has a style all of her own, rapping and singing in Spanglish—knowing when to flex her fine-tuned lyrical muscle, and when to show restraint. Scott’s ethnic duality plays the leading role on Creature, seeping heavily into the production. The call-and-response backgrounds and Taìno rhythms blend seamlessly with the bass-heavy hip-hop beats. The album’s two final tracks—“Indigena” and “Mango Nectar”—begin with a Yoruba prayer chant, gradually becoming the main sample over which the booming rap beat closes the record. With her Latin musical influences, a penchant for party anthems, and urgent messages, Scott manages to make a case for issues important to her, without turning her album into a seminar. She’s molded her art to fit her existence, and not, as is often the case, the other way around. It took a few steps for the young rapper to get there, but the fully realized Nitty Scott has finally arrived. 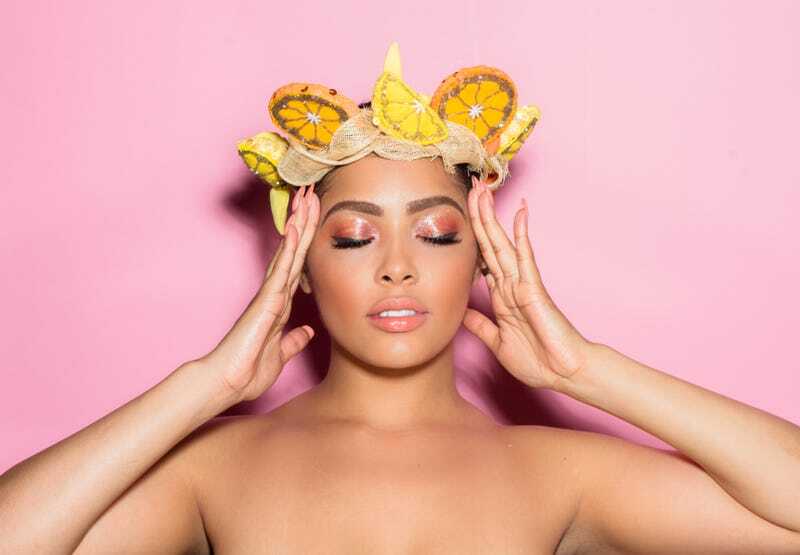 And one thing is beyond a doubt: Nitty Scott tiene tumbao. If Afropunk Isn&apos;t Punk Anymore, What Is It?